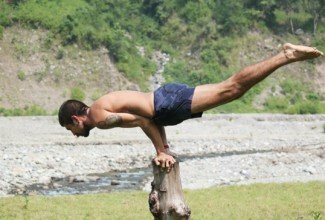 Yogi Kamal Singh was born and raised in Rishikesh, India, the Yoga Capital of the World. As a young man Kamal travelled India for 7 years learning from different Yoga teachers across the country. He has trained in many traditions, and holds certifications from the Bihar School Of Yoga, Sivananda Academy, as well as a Masters Degree in Yoga Studies from Garwhal University and an E-RYT 500 designation from the Yoga Alliance. 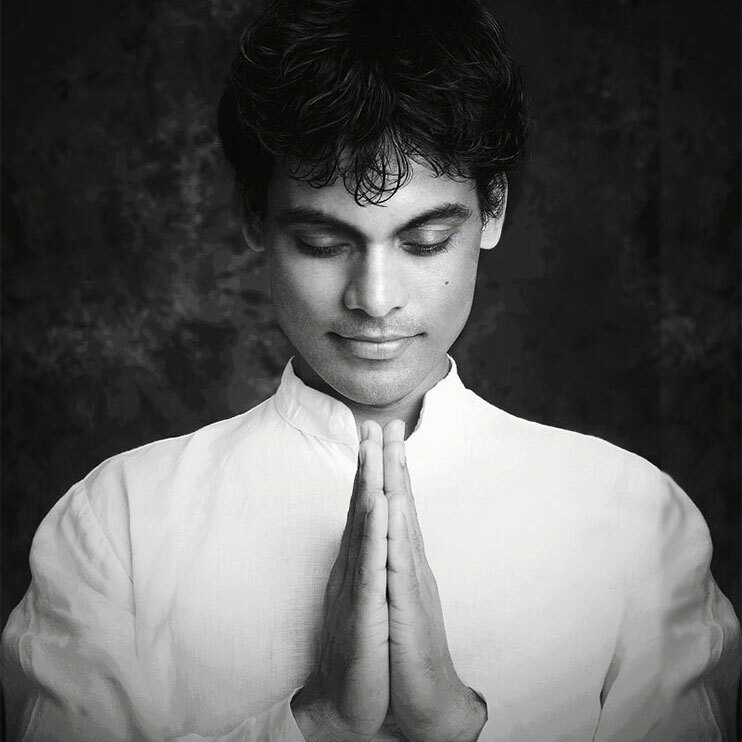 Kamal brings the depth of his background to the practice of Ashtanga Vinyasa Yoga and has developed a unique style of teaching that combines high energy, precise alignment and powerful adjustments that help make this dynamic practice approachable, safe and transformative for people of all levels of experience. 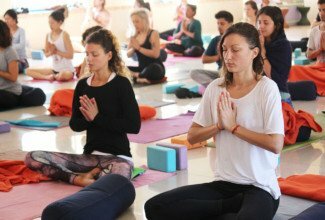 His ability to motivate and inspire people to probe the depths of their practice, combined with a sensitivity to the unique needs of each individual body and mind, have made him one of the most popular teachers of the Ashtanga Vinyasa style in India, attracting a diverse group of students from all over the world. Since 2007, Kamal has been teaching at Tattvaa Yogashala, the school he founded in his hometown of Rishikesh. 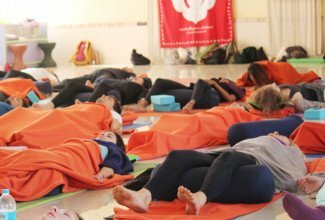 Over the years Tattvaa Yogashala has grown into a world renowned school which offers training in both Ashtanga and Classical Hatha Yoga. Tattvaa offers an authentic, well-rounded yoga education to help transform students into dedicated practitioners and confident teachers. With a firm commitment to tradition and a strong connection to the local community, Kamal has worked hard to create an atmosphere of friendship, devotion and trust that allows each student to explore their practice in a safe, supportive manner. Teacher trainings are conducted year round and all courses are conducted by Yogi Kamal Singh and his experienced staff of teachers, each of them masters in their respective fields. In the India off-season, Kamal conducts workshops around the world. Yogi Upendra Ji was born and raised in Rishikesh, a holy city situated at the foothills of the Himalayas in a traditional Brahmin family. His father was a Sanskrit scholar, who first initiated him in yoga & ancient scriptures at an early age. Later he found Swami Vishwaroopananda and surrendered himself to his teachings and perfected himself in yogic discipline at Shivananda Ashram Rishikesh. 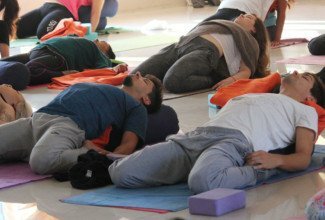 Following instructions from his Guru, he did a certificate course in Vedanta , Philosophy and Yoga from Yoga Vedanta forest Academy Shivananda Ashram Rishikesh. After, Yogi Upendra went to Bihar School of Yoga Munger and completed his certificate course in yoga . 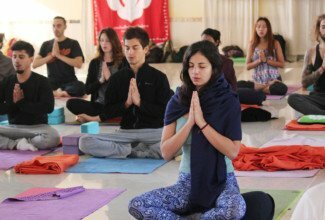 Yogi Upendra has conducted yoga teacher trainings and various intensive workshops of Asana, Pranayama, Yoga Nidra, Kiryas and Meditation for foreign groups. He has been invited to conduct workshops around the world in Germany, China, Kazakhastan , Denmark and other European countries. Yogi Upendra currently teaches at Jivan Chakra Foundation. 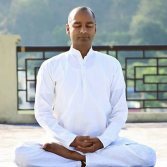 Mr. Sunil Sharma, trained in Traditional and Scientific Yoga from Kaivalyadhama, Lonavla (India), a Yoga Institute of International repute. He has his Post Graduate degree in Psychology and has an International Diploma in Guidance and Counseling from National Council of Educational Research and Training (NCERT) New Delhi. 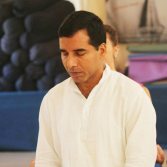 Sunil has been teaching yoga at various levels in India and abroad since 2001. Sunil has worked as a Yoga Instructor in various Senior Secondary Schools under the scheme ‘Promotion of Yoga In Schools’ by Ministry of HRD Govt. of India. He worked as a Yoga Instructor in Laxmibai National University of Physical Education, Gwalior, India where he conducted theory and practical classes for the students of Graduation and Diploma courses in Yoga. 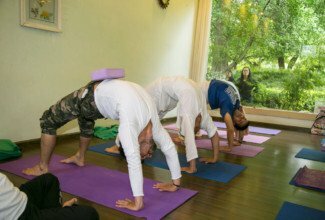 Later he worked as the Director of the Yoga Teacher Training Department in ‘Yoga Summit’, Hangzhou, China. Since, he has delivered lectures on Yoga and Philosophy, conducted Pranayama and Meditation workshops, Yoga Therapy Sessions for employees of corporate houses and Yoga Teacher Training courses from 2006 to 2010, during his stay in China. Sunil has created his own healing method based on the 8 limbs of Yoga. His unique yoga healing has proved highly effective against stress and various mild psychological disorders. Sunil has written various articles on yoga for the health magazine Niramaya Jivan. He has profound Interest in teaching philosophical and psychological aspects of Yoga. His areas of specialization are Asana, Pranayama, Meditation and Yogic Counseling. 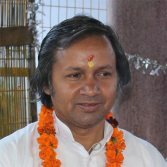 Acharya Ram Prasad was born into an orthodox Brahmin family in the Himalayan region. He has been awarded as Acharya in Sanskrit and Indian philosophy, which means highly learned man. Ram Ji studied Vedanta and yoga philosophy from Swami Dayananda Saraswati and did his post graduate studies in Sanskrit from Sampuranand University, in Varanasi in 2006. Ram Ji’s area of focus is in sadhana (practice of meditation). He has undergone meditation practices such as Vippassana, Prekshya, and Sakshi meditation to name a few. He has been lecturing on indian philosophy to national and international students as well as conducting Yoga and meditation classes in Yoga Niketan Ashram, Rishikesh from 2008 to 2015. He also had been an editor and writer for their bi-monthly Yoga magazine. His in-depth knowledge, calm and composed personality make him highly appreciated by his national and international students. Swami Omkarananda, grew up around the great lady saint of India, Ma Anandamayi. Throughout his life, he has studied with six enlightened Masters: Swami Dayananda Saraswati, Swami Veda Bharati, Swami Chidananda Saraswati, Dalai Lama, Lung Chu, and the Master of Masters Kalyan Babaji of Himalayas. By the Dalai Lama’s reference, he visited a Tibetan monastery, where he decided to leave his secular job in order to stay and study with the great Tibetan Master – Lung Chu. Devoting himself to spirituality fully, Swami ji started living with the great enlightened Himalayan Masters. On his spiritual path, he was initiated into the highest secrets of meditation, karmic purification, pranic healing and the art of dying consciously. 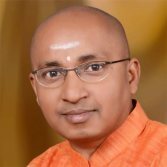 Swami ji has multifaceted experience in the field of metaphysics, parapsychology, and mind-matter interaction like psychokinesis and psychic healing, as well as profound knowledge in Vedanta, Sanskrit, holistic lifestyle and yoga. A seeker of truth with an engineering background, Swami ji correlates science with ancient wisdom to create and inspire applied spirituality and transformation in our everyday lives.